Union Congregational Church traces its beginnings back to 1871 when a young graduate of Grinnell College, Newell Hillis, organized the Congregational Sunday School. His first service was a funeral service for a man who had been shot. It was held in the town's saloon. Worship services were held after that on Sunday evenings at the courthouse. In 1884, the Reverend Thirloway organized the Sunday School into a full fledge congregation with worship, Sunday School and more. The first church building to house this faith community was built at the foot of Castle Rock and was dedicated in 1886. Centennial Park now sits where this congregation took shape. In 1925, the congregation built a new brick church on Flaming Gorge Way. As the town grew, so did the congregation. Outgrowing their building in the late 1960's, conversations began with the local Episcopal Church that was faced with a similar issue. Together Union Congregational and St. John's built a new church in 1970 on the south side of the river, at the foot of Mansface. For the past 45 years, Mansface Church has been home to Union Congregational and St. John's Episcopal. Two Congregations, sharing sacred space and doing far more together than we could ever do alone. Union Congregational Church was organized as a church of the Congregational Denomination. Congregationalist in the 1880's tended to establish new churches in uncharted territories. Needless to say Wyoming was a great mission field. With very few protestant churches in the area, the Congregational Church drew members from a wide variety of denominations: Methodist, Presbyterian, Baptists, Lutherans and more. To honor that heritage, this congregational church took the name Union Congregational Church in 1916. 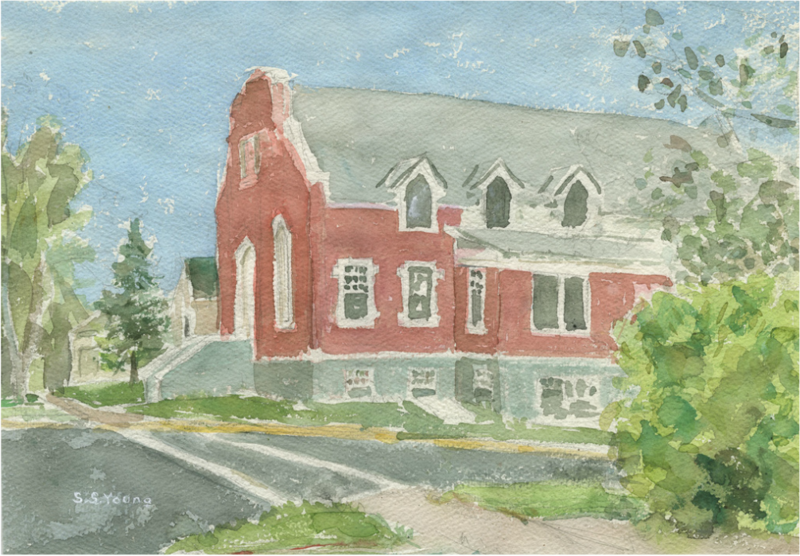 Since it's beginnings, Union Congregational Church has been a community of openness and welcome. Since 1956, Union Congregational Church has been a member of the United Church of Christ. Considering our beginnings that welcomed people from so many denominations, this seemed fitting. The Congregational denomination merged in 1931 with the Christian Churches and then in 1956, the Congregational Christians joined with the Evangelical and Reformed Synod, forming the United Church of Christ. We continue to be a church of extravagant welcome that encourages people to live and grow in the faith of Jesus Christ.